I am up past my bedtime on the night before we have to get up early and drive to the Florida Folk Festival and I have plastic wrap on my head. I believe I am going to drive my daughter home with plastic wrap on my head. She’s putting her things in the car now. We procrastinate every year but this might be a new record. My daughter was going to dye my hair for me last night but then she looked into her box of hair-dyeing supplies and saw that she was out of developer. If I want bright pink hair, she has to bleach out the natural color before she applies the pink dye and bleach requires developer. We couldn’t go on a developer run at that point because we had too many other things to do, so we put it off until today. Today was full of even more things to do, so we put it off until this evening. That’s why I’m up past my bedtime with plastic wrap on my head. On the upside, we did finish all the tie-dye. This entry was posted in Uncategorized and tagged Florida Folk Festival, Hair dye, tie-dye on May 25, 2016 by releaf1954. The long days of dyeing have begun. The pre-soaking went smoothly because we were blessed with four or five days in a row of perfect pre-soaking weather. Even though we live in Florida, which is called the Sunshine State, anyone who lives here knows that a lot of that sunshine comes in liquid form, particularly in the warmer months. To have several days of bright, breezy weather with low humidity is rare and we are grateful that they came exactly when we needed them. The humidity continues to be low, something I know without looking at a weather report because I’ve been mixing dyes and my measuring spoon has not become encrusted with sodium hexametaphosphate. That’s water softener. I could say water softener, but I get a kick out of saying sodium hexametaphosphate. On humid days, there’s so much of it stuck to my measuring spoon that I’m pretty sure I’m no longer getting an accurate measurement. Today that spoon stayed dry all day. It was hot, though. We didn’t get started with the dyeing until late morning because we needed to go to the grocery store. You can only put that off so long before you start running out of food and you can’t face long dyeing days without food. We know what the long dyeing days are like, so we bought plenty of Breakfast Essentials. Okay, it’s not a real meal, which is probably why they stopped calling it Instant Breakfast, but it will sure get either one of us from early morning to noon with no trouble. By the time we put away our groceries and started working this morning, the day was already beginning to heat up. A lunch break cooled us off, but going back outside in the afternoon was a challenge. After we had been working a while, my daughter disappeared into the house and then my husband came to tell me he was taking her home. “She’s coming back, right?” I said. “Yes, she just needs to get something from her house,” he replied. I kept working, enjoying the solitude. I don’t get much of that now that my husband is retired, so I appreciate it when it shows up. After a while, my husband and daughter returned with a surprise. My sneaky daughter had discovered cash left on her Starbucks card and bought us all Frappuccinos. A venti Frappuccino is a lovely treat when you’re working outdoors on a hot afternoon. It got me all the way through an entire category of Rainbow cottons. I finished the Starbursts and Accessories. I thought about moving on to Rainbow Hearts or Rainbow Guitars, but then I caught myself putting purple next to green on a bandana and knew it was time to stop. When I can’t remember ROYGBV, I am too tired to make tie-dye. 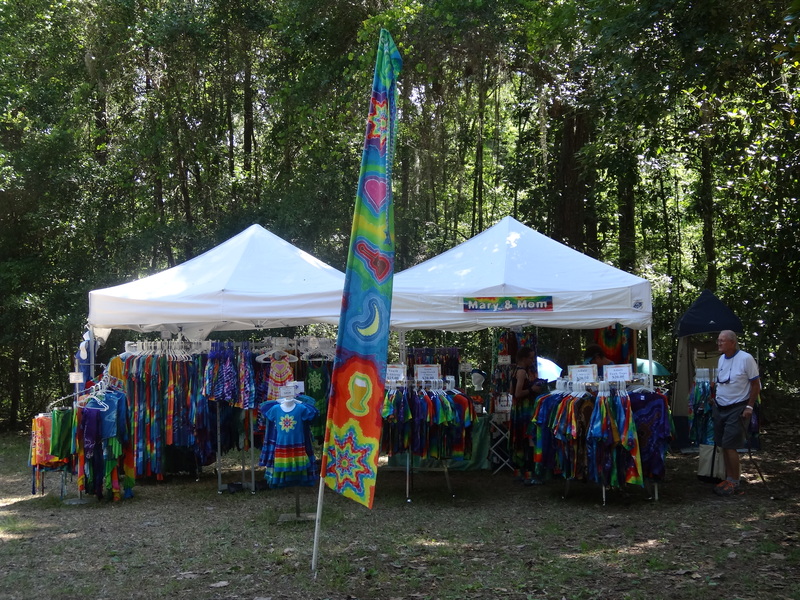 This entry was posted in Uncategorized and tagged Florida Folk Festival, sodium hexamataphosphate, tie-dye on May 11, 2016 by releaf1954. May? How Did It Get To Be May? I was just sitting here, innocently checking my iPad games and wondering how early I can retire for the night, when I suddenly realized it’s Wednesday. Wednesday! Wait … that means I have to come up with a blog post before I can retire for the night. I’m sleepy, people. I have a long day of pre-soaking ahead of me tomorrow and I need to get some rest. Yes, I am still working on pre-soaking, not dyeing. Yes, I know it’s May the fourth. I’ve been on Facebook; I know it’s May the fourth. Thanks to my friend George, I got my first “Happy Star Wars Day” wish at 6:35 this morning. He knows I’m an early riser. I returned the good wishes and got back to my morning pages. Once I made it to the internet, I saw a lot more such wishes. I shared one on Facebook myself. May the fourth comes but once a year, after all. The problem with it being May the fourth, of course, is that means we’re already in the month that also holds Memorial Day and that is the holiday weekend when we attend the Florida Folk Festival, our biggest tie-dye event of the year. We’re in the month of May and we haven’t dyed anything yet. It’s going to be a busy month. We have made progress. Since last week, we have washed and dried all the new cotton blanks and we have finished pre-soaking all the Rainbows. Pre-soaking the Rainbows took a whole day, because, between the cottons and the Rayons, they took up all four of my clotheslines. My daughter has started tying those Rainbows. I have finished listing all the cottons we need to dye and all of those blanks have been sorted into bags by color palette. I have cleared out all the old dyes and located all the dye bottles. We use eight-ounce squirt bottles for our dyes and we have dozens of them, so keeping track of them in the slow months is not easy. I have found them. I know where they are. See? We have made progress. Tomorrow the forecast calls for sunshine all day, so we should be able to get four more clotheslines full of pre-soaking done. More progress! With that goal in mind, I’m going to wrap up this post and get it published, so I can get my rest. There you go. I blogged. Now I’m going to bed. 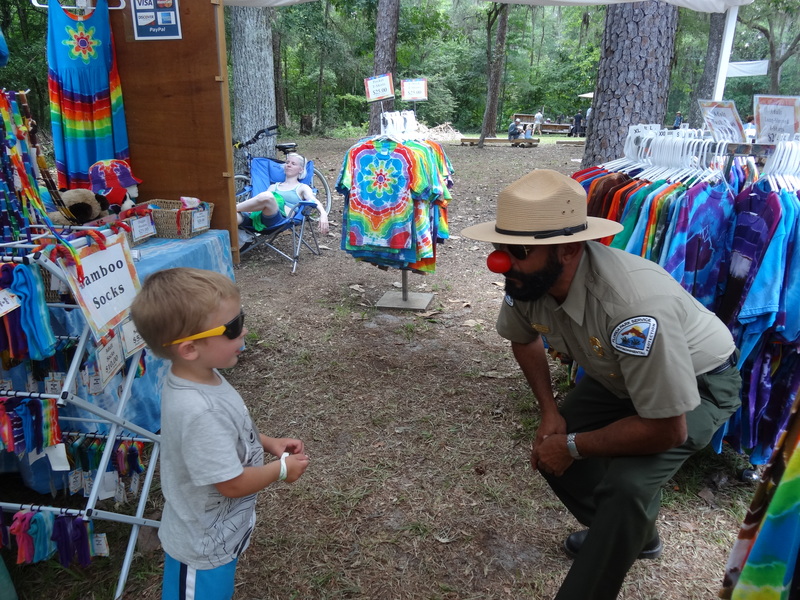 This entry was posted in Uncategorized and tagged Florida Folk Festival, procrastination, tie-dye on May 4, 2016 by releaf1954. Okay, I’m getting closer to painting again. 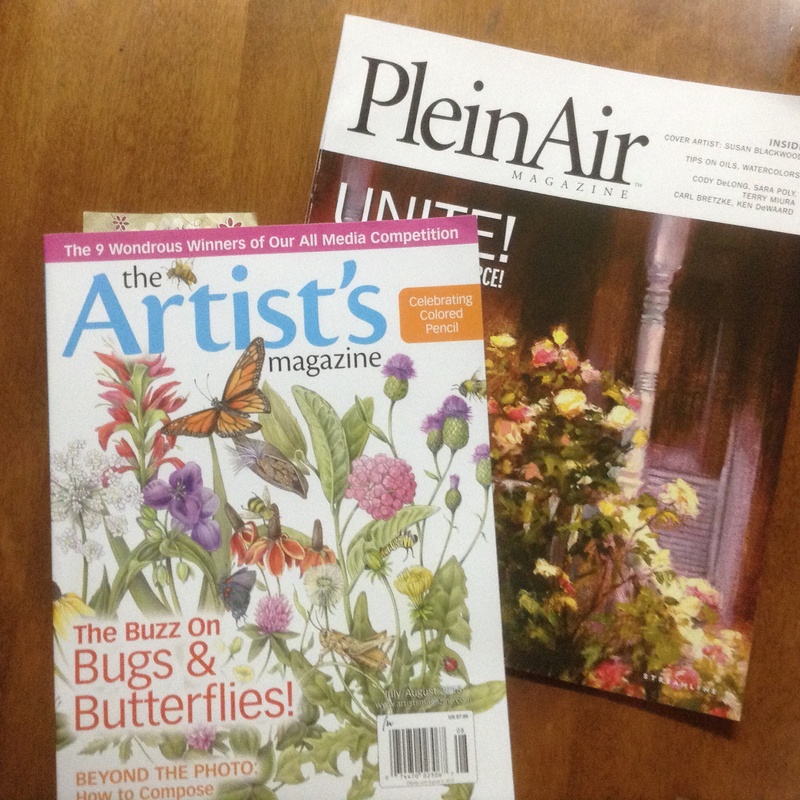 A few days ago, I went to a book store and bought, not only a copy of The Artist’s Magazine, but also a copy of Plein Air Magazine. I’ve already read a great article about squinting. That’s as far as I got because I had tie-dye things to do. This morning, I cleaned out my Sta-Wet Palette. I had to use a new sheet of Acrylic paper. The old one had dried out completely, with a whole lot of paint on it. The paint had dried out, too, along with the sponge underneath. The Sta-Wet Palette does not stay wet if you leave it alone for three months. Good to know. Now my Sta-Wet Palette is wet again, but I just had time to get it to that point and then I needed to do tie-dye things again. 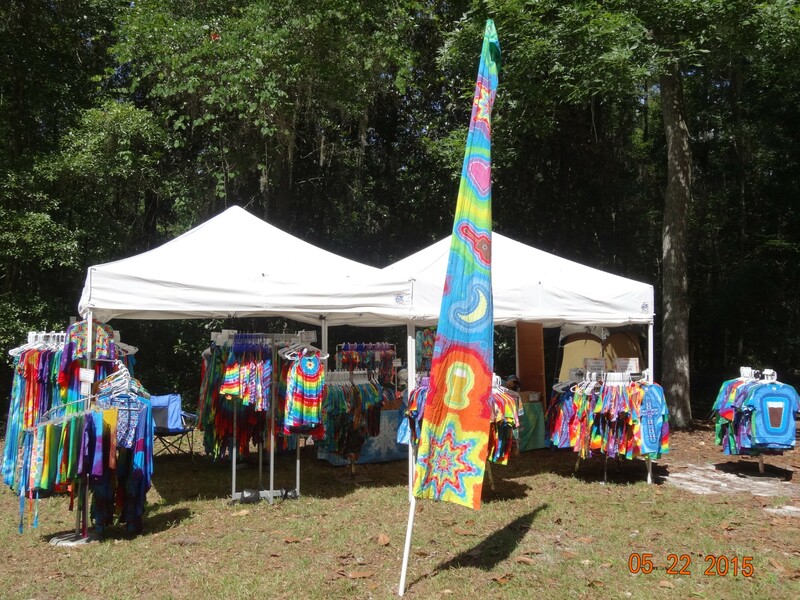 The problem with having a successful Florida Folk Festival is that a whole lot of tie-dye goes to new homes, and then we need to make more tie-dye. It happens every year, and every year we think we’re going to go straight home and get busy replacing all the things we sold. We manage to forget that we are exhausted when we get home from the Florida Folk Festival. We manage to forget that we can’t even begin to replace the things that sold until we order more blanks, and we can’t do that until we know exactly what sold. We shouldn’t even try to replace things until after our end-of-June inventory, but then there are the special orders. When we run out of a certain style of item, we could just say, “Sorry, we don’t have any more of those” and leave it at that. It’s hard to leave it at that when someone says, “Can you make one for me?” and agrees to pay in advance. When we’re in our happy festival mood, it seems reasonable to accept these special orders. 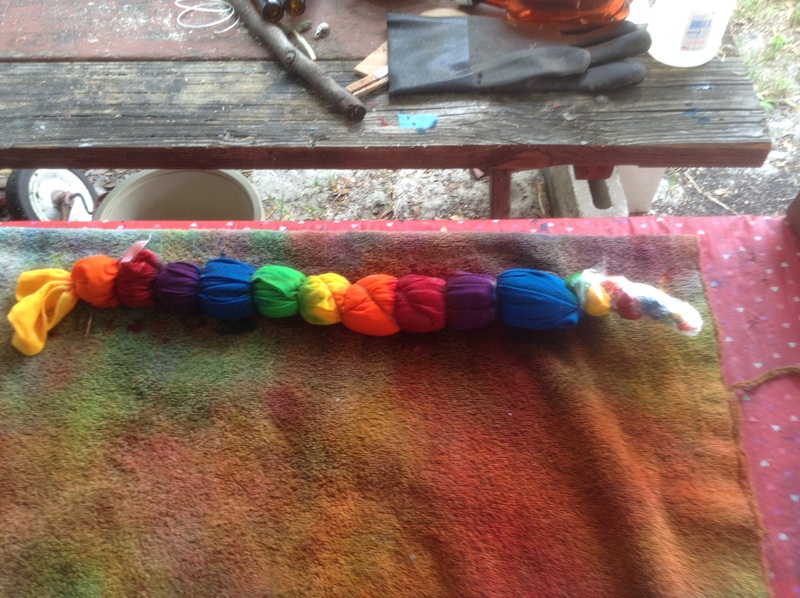 We love making tie-dye and we love making our customers happy. Then we get home and remember that there are only two of us and we are exhausted. At least one of us has usually injured something at the festival or during the pack-up or while we’re unloading the van. We want to get the special orders done as quickly as possible, but we need to recover first. We’re sorry. If you ordered something from us, we are determined to get it to you. If what you ordered is in the Blue Raspberry color palette, we will be mailing it out tomorrow. If it’s in Rainbows, Fruities or Greens, we’re working on it. We promise. I just hope I can get back to my Sta-Wet palette before it dries out again. 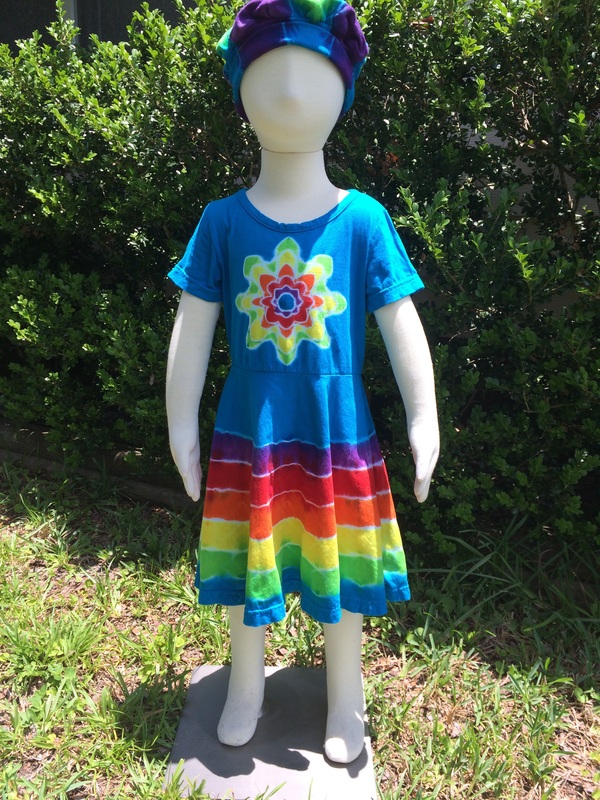 This entry was posted in Uncategorized and tagged creativity, Florida Folk Festival, painting, special orders, tie-dye on July 1, 2015 by releaf1954. Some Wednesdays, I have a hard time thinking of anything to write about, but today I have recently returned from the Florida Folk Festival, so it’s hard to narrow it down. My regular readers know that I was a stressed-out mess last week because I was trying to get ready for this festival and the ticket vouchers were slow in coming. I never did receive any more of them but we all got through check-in just by giving our names, so that turned out okay. I should try not to let these kinds of things stress me out. They always turn out okay. Check-in was Thursday and we settled into our campsite about two o’clock. If all I did was sing, this would have given me some much-needed kick-back time before the participants’ potluck at six, but I also sell tie-dye, so I just ate a quick sandwich and moved on to vendor check-in. From there, we went to the craft area near the Old Marble Stage to set up our booth. We did as much as we could before the potluck. The rest had to wait until Friday morning, after a good night’s sleep in the little blue teardrop trailer. We finished our set-up and then the other members of the family yodeling group pulled me away for a rehearsal. Some of the group members came from as far away as New Jersey, so it had been a long time since our last rehearsal. We managed to pull a decent half-hour set together before our performance at 10:30, but I didn’t make it back to the tie-dye booth until after I finished singing. My daughter was not too worried about it because it was a slow day in the booth and my husband showed up to give her a hand. The slow day on Friday worried me a bit, but we made up for it on Saturday. I had another rehearsal and another performance, so it was a good thing my husband was there to help my daughter in the tie-dye booth. 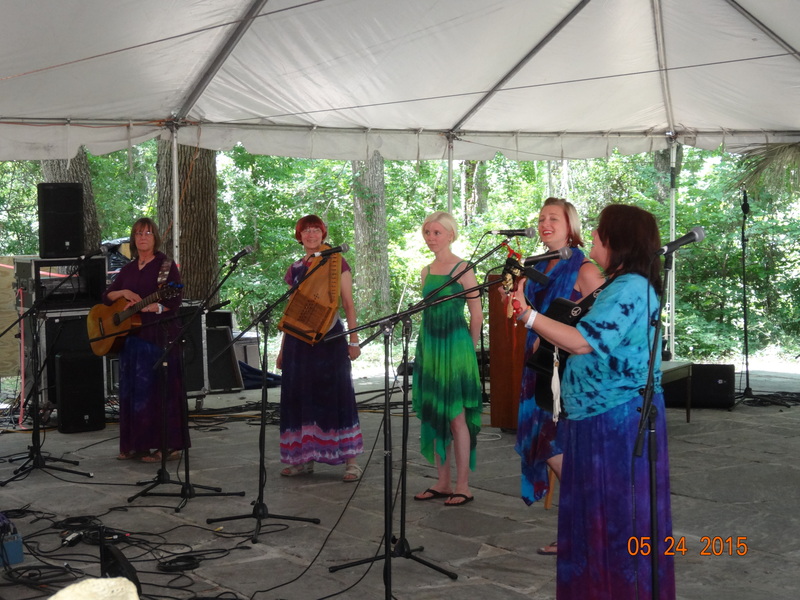 Sunday was another busy day in the booth, but our performance that day was on the Old Marble Stage. Most of the stages are far away from the tie-dye booth, but that one is so close, my daughter could watch our performance and still handle tie-dye sales. Forty-four years ago, when I first started singing at the Florida Folk Festival, it wasn’t called the Old Marble Stage because it wasn’t that old and it was the only stage there was. Memories wash over me every time I step on that smooth marble surface and it was a joy to share it with the extended family one more time. We had beautiful weather, wonderful music and record tie-dye sales. We would be celebrating all that, but first we have to do the paperwork. 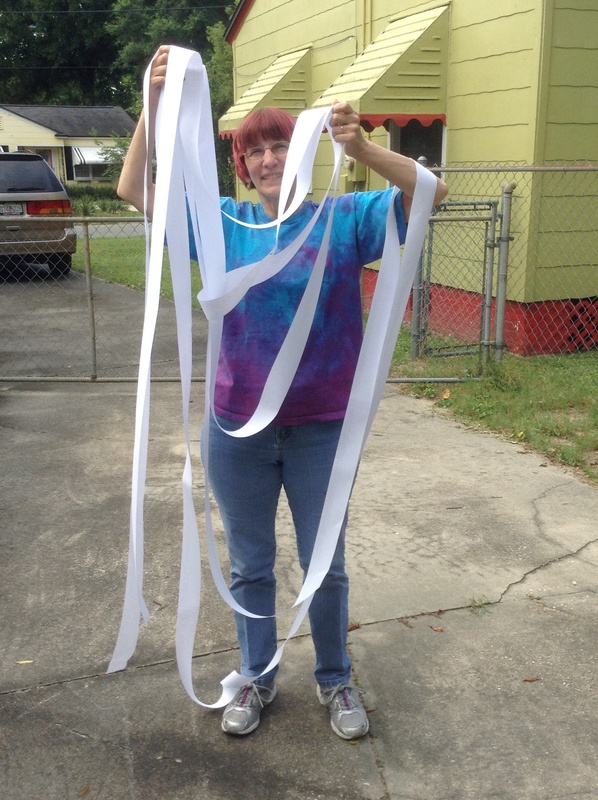 That waits until I get home because I’m not bringing an adding machine to the Florida Folk Festival. I finally got the sales tickets to balance–yay! 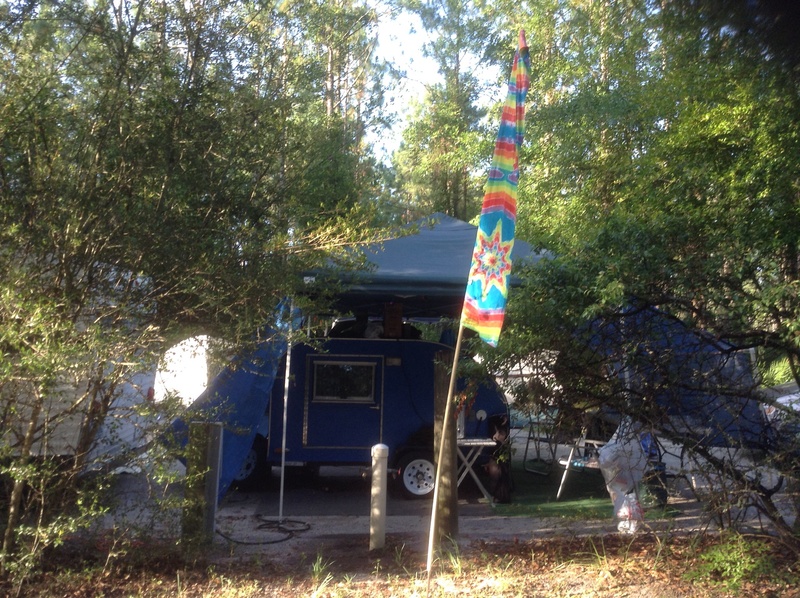 This entry was posted in Uncategorized and tagged Florida Folk Festival, little blue teardrop trailer, teardrop trailer, The Makley Family, tie-dye, yodeling on May 27, 2015 by releaf1954. I don’t have time to write a blog post today. I have to leave for the Florida Folk Festival tomorrow morning and I have a million things left to do. I need to start my slaw for the participant’s potluck. I have to cut up the vegetables for the veggie pitas we always have for lunch when we get to the campground. I need to put all my singing dresses, which I washed today, into the plastic hanging bags and load them into the van. I need to load up my suitcase and my super happy fun bag and my autoharp. I should probably practice with that autoharp one more time before I load it up. All that and more, but there’s one task that’s driving me absolutely bonkers because too much of it is out of my control. The organizers of this event are trying a new method of distributing passes to participants. It’s supposed to be a lot more efficient than the old way and I suppose it might be if they had implemented it a bit sooner. Each group has a contact person and they are sending the vouchers to that person by e-mail. The contact is then supposed to forward the vouchers to the group members so they can print out their tickets and exchange them for wristbands at check-in. It sounds simple enough, but vouchers started arriving in my e-mail last Friday and I still don’t have them all. I am the contact for the family yodeling act and I am also the contact for the tie-dye business. My to-do lists are long and I can’t check this thing off because I don’t have all the vouchers. I have family members coming to Florida from New Jersey for this festival and some of them have no vouchers. I have a million things to do and I have to stop and check my e-mail every few minutes to see if any more vouchers have arrived. I haven’t received a single one today. I tell myself to just breathe deeply and do what I can do, but the longer I have to wait for those vouchers, the harder it is to remain calm. My group members are depending on me to get their vouchers to them but I can’t do that if nobody gets them to me. I’m breathing. I’m breathing. 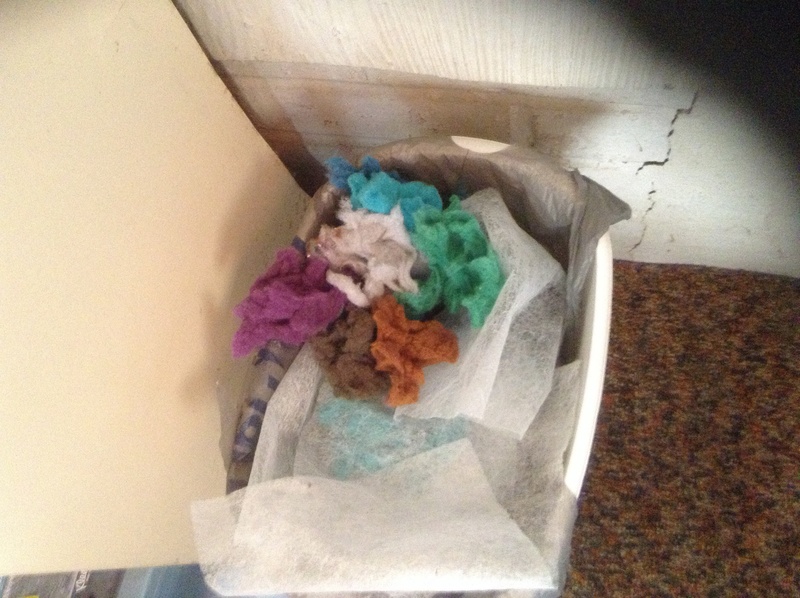 On the upside, we have finished all the tie-dye and I have really pretty dryer lint. 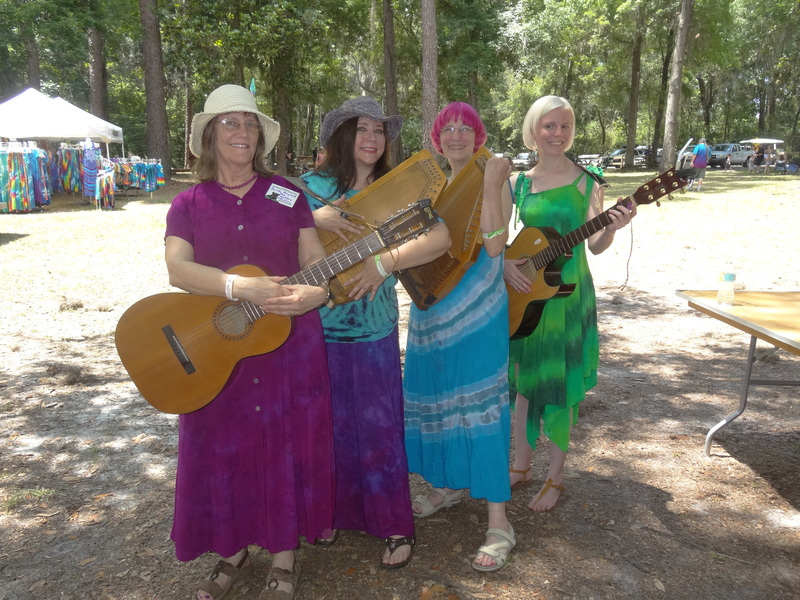 This entry was posted in Uncategorized and tagged Florida Folk Festival, tie-dye on May 20, 2015 by releaf1954.